The editing process is a vital part of virtually every form of media. Primarily associated with texts and written language, editing is equally essential, if less examined, in regard to visual media. Editing the Image looks at the editing of visual media as both a series of technical exercises and as an allegory. It touches on concerns that are crucial to the history of art and visual culture, as well as those media and institutions that produce and disseminate the visual arts in our society. Featuring contributors from a wide range of disciplines, Editing the Image considers editing in the context of academic journals, art-historical texts, illustrated books, museum displays, and exhibitions. It is an inclusive analysis of visual forms commonly associated with the process of editing - photography, film, and video - as well as some that are not intrinsically linked to editing - painting, sculpture, and architecture. 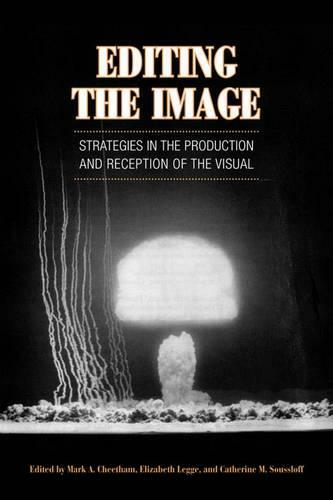 In addition to wide-ranging academic considerations, this collection includes discussions of moving picture media and studio art by practitioners, giving the study a practical focus. For anyone who has considered the implications of the editorial process, this work will be of significant interest.